A boisterous crowd of 9,124 attended the game against the Penn Quakers at Robert K. Kraft Field, which started at 3:30 p.m. instead of the usual 1:30 p.m. in order for it to be televised on the Versus channel. The fans saw the Lions lead most of the way before succumbing to the two-time defending Ivy champion Quakers 27–20 on a touchdown with just 25 seconds left to play. The sunny and brisk weather, while gusty, proved to be perfect for food, fun and football. 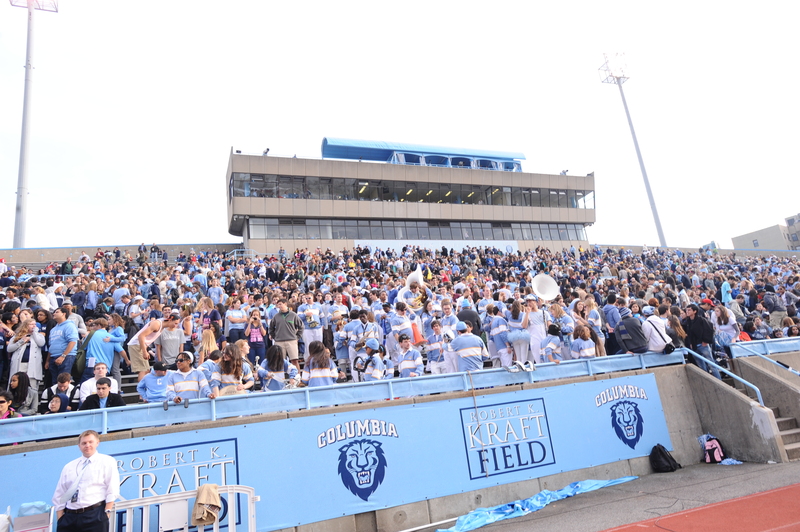 At halftime, Columbians of all ages returned to the Big Tent to enjoy a dessert reception, which was sponsored for the second consecutive year by the Columbia Alumni Association.